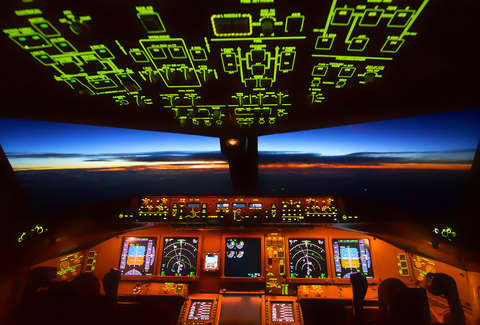 Airline pilots are trained to deal with all sorts of unexpected issues while up in the air, whether it's figuring out how to troubleshoot when equipment fails, navigating through freak turbulence, or, uh, safely landing sideways. Still, they occasionally encounter something that is truly baffling, as several did late last week when they reported seeing a UFO moving freakishly fast through the sky. While flying over the southwest coast of Ireland in the early morning of Friday, November 9, a handful of commercial pilots contacted local air traffic control after seeing some mysterious bright lights in the area. A British Airways flight en route to London from Montreal reported seeing a "very bright light" from an object that had come up along the left side of the jet before "rapidly veering to the north," per a report from the BBC. Another pilot described its speed as "astronomical" and compared it to going roughly Mach 2, or twice the speed of sound. The BA pilot asked if there were military exercises going on in the region that could explain the movement, but was told there were not. Another pilot, behind the controls of a Virgin plane flying to Manchester from Orlando, speculated it may have just been a meteor making re-entry, per a recording of the air traffic control conversation on Airlive. It's still unclear what exactly what it was, though the BBC spoke with astronomer Apostolos Christou, who believes it was most like shooting stars. "It appears the matter was extremely bright so it must have been quite a large piece of material," he said in the interview. "I cannot say from the pilots' description, but it could have been the size of a walnut or an apple." In reaction to the incident, the Irish Aviation Authority is conducting an investigation, and will eventually file a report of its findings. According to the Irish Times, it also pointed out that the lights were unlikely to be aliens from another planet. Then again, maybe they were?